The Payogan Created a unique traditional Balinese style of architecture and culture of service. All 27 Private Villas is perfect for those who want to enjoy the romantic sense. Thatched grass roofs and sweet smell of fresh tropical flowers welcome you to your open aired luxurious living and dining area with private swimming pool. A Traditional Bale bengong lies beside the pool is perfect to relish the surrounding view or just having a relaxation while enjoy the romantic dinner menus. The Spa offers a wide range of customized body treatment and scrub from The Jamu Spa by using traditional herb and lotions and natural healing remedies from aged old generations of Balinese healers to our professional staff. The 2 wide open-aired treatment rooms, Jacuzzi, indoor shower with private changing areas. All room provide an entertainment essentials sunch as a hug screen TV with DVD and CD player, IDD phone, personal safe and individually controlled air conditioning. Each-King sized poster bed is smothered by a generous mosquito net, a romantic and elegant feature each bedroom. Other feature in the specious villas included walk-in robes for two, outdoor showers, and deep sunken bathtub. Twice daily maid service, In-room safety box, IDD phone, DVD player, 21 Flat screen TV with satellite channel, Split air-conditioner, Coffee & tea making facilities, Refrigerator, Writing desk, Iron and board, Thick terry robes, Hairdryer, Torch light, Slippers, Complimentary toiletries, Weight scale. The Villa is presented with an elegant furnishing and artifacts creating a romantic and luxurious feel to the rooms. The Payogan Villa Resort and spa blend easily into the peace and quite environment among the Bali Blue skies and tropical forest surrounding Ubud village. Or the Payment could be done upon arrivall or check out time. 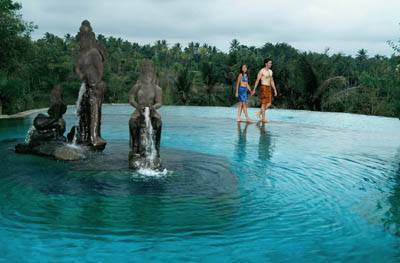 The Payogan is only 45 minutes form the Airport or only 10 minutes from The Ubud centeror Ubud Palace. 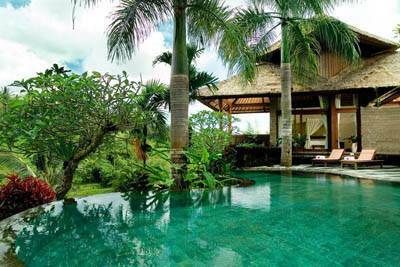 The Place is in Banjar Bunutan, Desa Kedewatan Ubud - Bali.